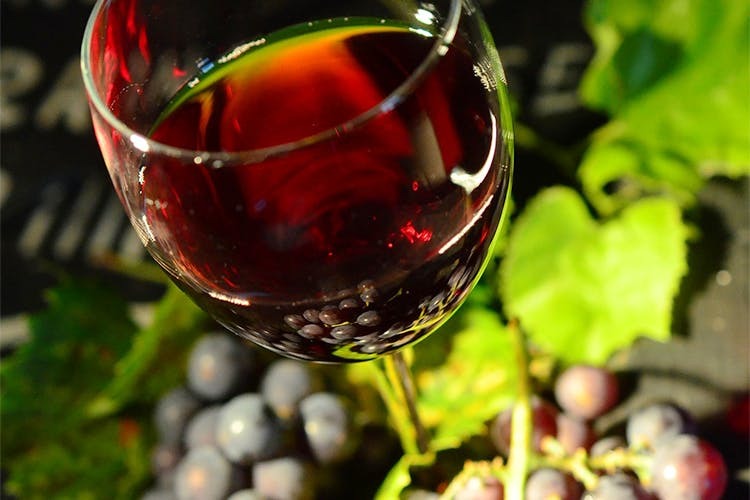 Want to drink wine for health benefits? The grape variety that is said to have more resveratrol than most other grape varieties is Pinot Noir. Here’s a list of a few of them that are available in India that you should get your hands on to drink for health benefits or just pure vinous pleasure. Complex nose with some attractive, savoury, “smoky bacon”, meat and spice notes. Cherry, plum and sweet, light red fruits. Savoury meat and game flavours over sweeter red cherry and plum fruit, contrasting nicely with background oak char. Hints of smoke and spice provide some complexity. Slightly dusty tannins and perky acid create an approachable palate with a juicy, structured finish. Aromas of vibrant red fruit with savoury notes of leather and spice complemented by the toasty French oak. The palate shows ripe berry fruits with savoury earthy notes. The wine is balanced with fine tannins and tight acidity giving along a lingering finish. Pinot Noir matches perfectly with any red meats, and strong cheeses. Aromas of ripe boysenberries and blackcurrants with notes of dark chocolate, spice and toasted oak. On the palate, there is great concentration and intensity with lots of ripe dark fruits flavours, and undertones of fresh ground coffee and warmed spice. Good palate weight with well-balanced acidity, fine silky tannin and a clean lingering finish. Drinking beautifully from release date, this wine can be enjoyed young or with careful cellaring will mature into a more complex wine that can be enjoyed for the next five years. JadotGevrey-Chambertin shows the qualities characteristic of the commune : deep color, with a multi-faceted berry and red fruit bouquet, a full, tannic structure and mellow texture carry into a lasting finish. This Pinot Noir shows bright flavors of black cherry and raspberry with notes of vanilla and nutmeg.